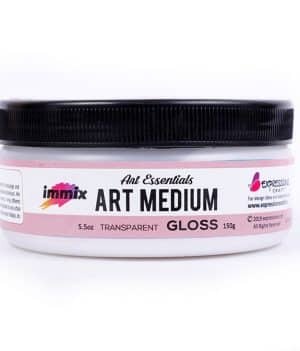 immix Dimensional Heavy gel medium by expressions craft is a very useful medium when painting with acrylics if a high level of thickness is needed. 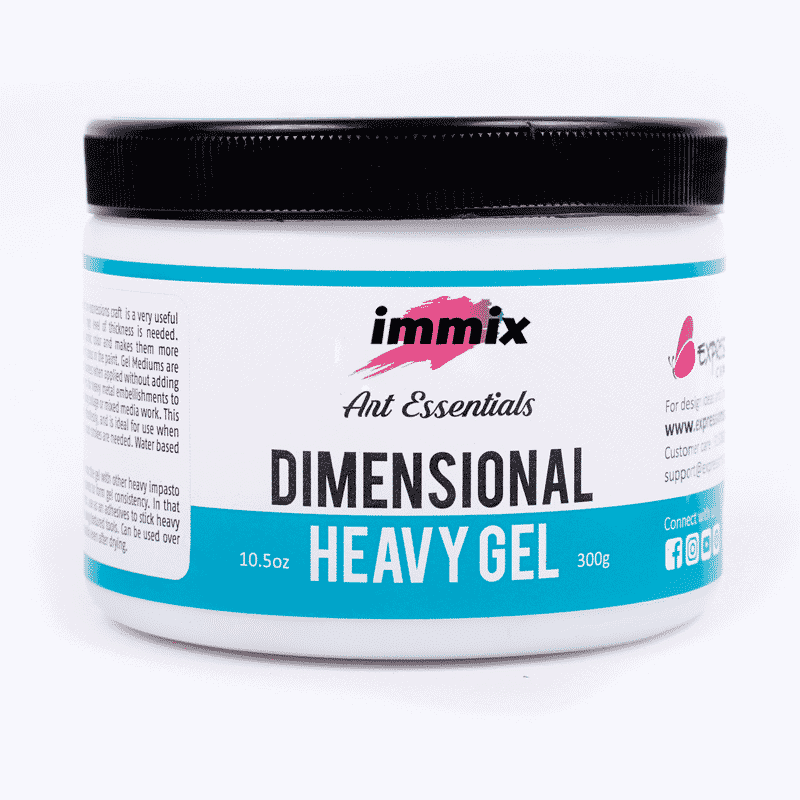 Dimensional Heavy Gel Medium thickens Acrylic color and makes them more transparent, as well as decreasing the level of gloss in the paint. 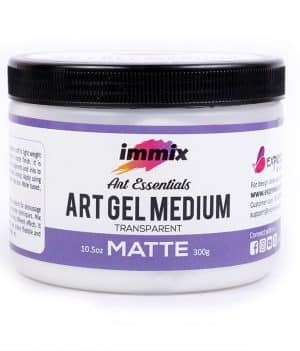 Gel Mediums are milky white substances that dry clear and colorless when applied without adding color, and can also be used as an adhesive to fix heavy metal embellishments to a canvas or other primed surface when creating collage or mixed media work. 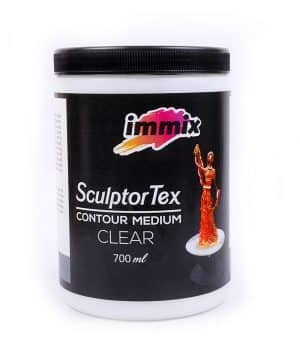 This fantastic medium creates extra thick color effortlessly, and is ideal for use when large areas of thicker acrylic or retention of brush strokes are needed. 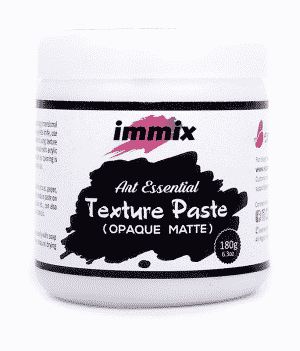 Water based, non – toxic. 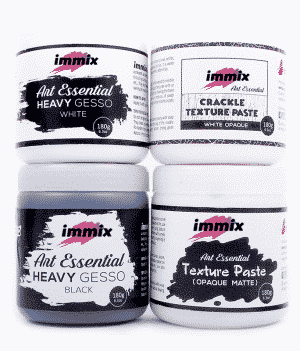 Use palette knife or brush to mix the gel with other heavy impasto paints and to increase the volume of any paints to form gel consistency. 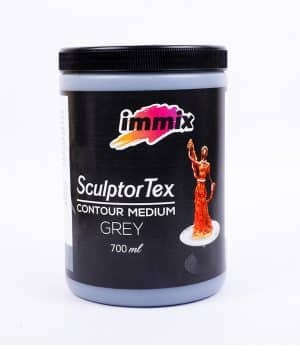 In that way make your own customized colored gels. 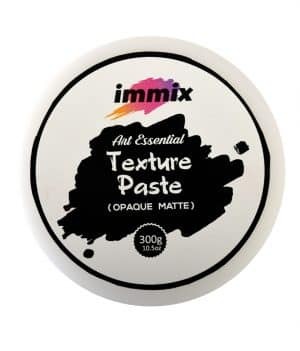 use as an adhesives to stick heavy items to your projects and create patterns using textured tools. 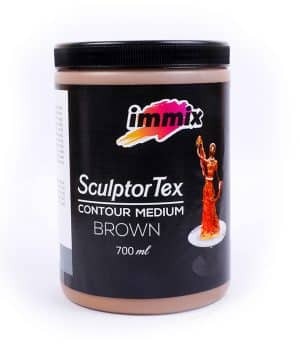 Can be used over stencils to create patterns. Maintains high peaks even after drying.